Reporting to the Executive Director, the Administrator is part of a cross-departmental team. They will participate in the administrative work of the IDG, Education Department and Organizing Department. The Administrator performs a range of duties, which may vary according to the needs of the different departments, a specific action, or the needs of the IDG. Places, answers, screens and redirects telephone calls. Performs administrative duties, receives visitors, determines need and assists where appropriate or accordingly. Prepares correspondence such as letters, memos, reports and other documents according to guidelines. Proofreads for accuracy, grammar, and punctuation. Duplicates and circulates documents. Makes hotel and airline reservations as requested. Prepares travel itinerary and confirms all plans. Makes arrangements for conferences and organizing meetings. Enters and tracks attendance, expense reports, travel authorizations, and leave requests. Filing as needed. Establishes and maintains office files, as well as follows the established archive retention schedule. Maintains electronic files for organizing and budgetary purposes (includes entering new data, updating or modifying existing data and ensuring quality control of record entry). Runs various pre-established reports from budgetary and organizing files. Creates or modifies file and report formats. Uses Microsoft Office software for letters, reports and basic leaflets. Performs standard file maintenance to ensure that information is protected from loss. Knowledge of office equipment, such as copier, telephone and fax machines and other similar machinery. Knowledge of grammar, spelling, and punctuation to proofread and compose simple correspondence. Proficiency in the use of word processing and spread sheet software. Ability to perform simple mathematical computations. 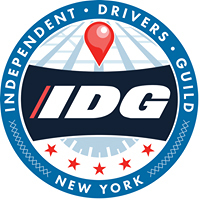 Qualified candidates may send a résumé and cover letter to jobs@drivingguild.org with “Administrator” in the Subject line of your email.